Industry has reacted with dismay as the European Parliament vote in favour of allowing manufacturers to produce and stockpile generic and biosimilar drugs two years before the original brand’s market exclusivity ends. 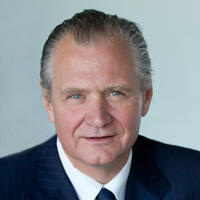 In an open letter to European institutions, the president of the EFPIA trade body, Merck KGaA chairman and CEO Stefan Oschmann (below), says the EP’s provisions “diverge significantly from the limited scope of the initial proposal by the European Commission and undermine the strong and reliable intellectual property rights in Europe”. The proposed change to the ‘manufacturing waiver’ to the supplementary protection certificate (SPC), an existing law which extends market exclusivity for branded medicines inside the EU, has now been backed by the EP and could come into effect in 2021. The usual patent for a pharma product in the EU is 20 years, but an SPC extends that protection by up to five years, taking into account the length of time it can take to bring a new drug through the development process. At the moment generic and biosimilar manufacturers cannot manufacture their copycat products during the SPC period. The proposed changes to the waiver means that they will be able to produce generics and biosimilars for export outside the EU during this period, and also stockpile product so that they can launch strongly in the EU market as soon as the market exclusivity comes to an end. European generic and biosimilar companies have long argued however that the waiver hands an unfair advantage to competitors outside the EU, who have no such manufacturing restrictions. “Our industry is extremely concerned that the proposal for the SPC manufacturing waiver will put patient access to medical innovation, highly killed jobs and investment at risk,” writes Oschmann. The Parliament’s vote will “bring Europe in line with the stockpiling possibility that already exists in other regions of the world, like the US,” it adds. The Commission also thinks the changes will boost the EU’s competitiveness as a hub for pharmaceutical R&D and manufacturing and has projected it will help generate additional net annual export sales of “well in excess of €1bn” over the next 10 years, and create 20,000-25,000 new jobs over the period. MfE called yesterday however for the European Council, Parliament and Commission to “resist pressure from foreign vested interests” to derail the adoption of the SPC manufacturing waiver. These unidentified foreign parties “should not be allowed to interfere in a transparent EU legislative process where all stakeholders were consulted and involved. The future of Europe’s medicines supply is dependent on this EU decision and we trust in the resolve of our democracy to do what is right for Europe,” says the organisation.